Yesterday I recommended the Anker PowerCore 10,000 mAh portable charger, which was on sale but isn't anymore. 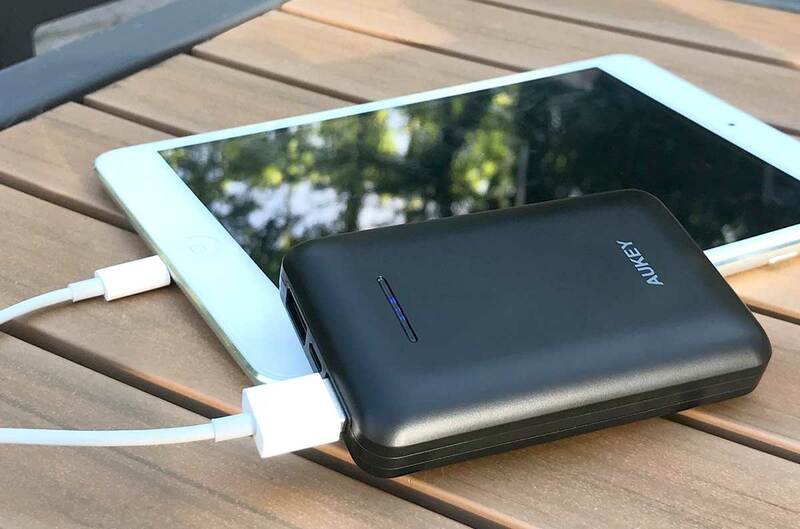 If you want a great deal on a 10,000 mAh portable charger, consider this Aukey charger. Anker generally has a better reputation for quality, but I've used Aukey gear for years with no problem. When you use code 47OU8KKJ at checkout, you can get this for a fraction of the price of the Anker model.